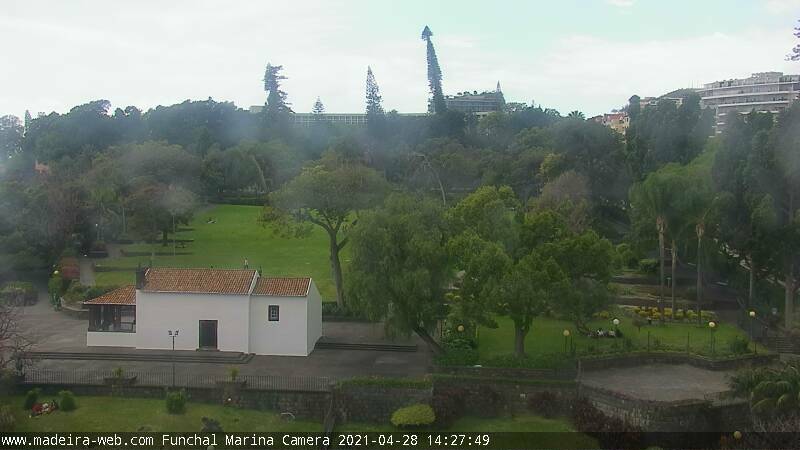 Parque de Santa Catarina, trees and Chapel. The St. Catarina Park is a lovely tranquil open space with fine trees, shrubs and flowers. It includes a charming pond with a fountain and a quaint chapel that gave the park its name.